When Earle Liederman passed away we lost a good friend of the Iron Game. He had been a close friend of mine for 25 years, but of course, that was only a small segment of his long life. During our conversations he would often relate incidents that I now recall and which readers may find interesting. Earle was blessed with strong ancestry, I’m sure. His mother lived past the century mark. 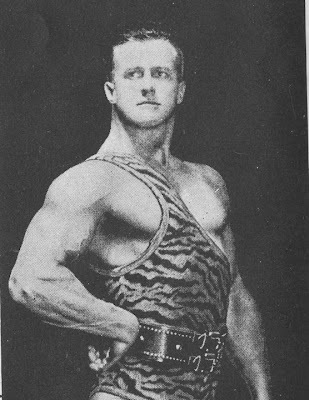 Early photos show the fine physique he obtained by weight training, cables and handbalancing. Earle performed the handbalance with ease when past the 60-year mark and would have continued for much longer, I’m sure, but for a torn muscle which forced him to limit training. 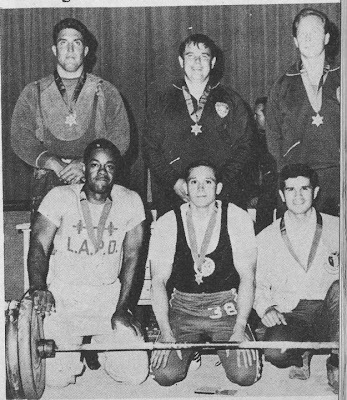 He had a good degree of strength, but trained more for condition, endurance and physique. 101 dips on parallel bars serves to emphasize the point. That was unofficial and may not have been in a form that would have passed strict official rules, however, I personally haven’t seen anyone surpass continuous 75 reps. It might be interesting to see reports as to what can be done by notables of the modern era. Earle was enormously successful in business. He ran a mail order training course that was huge even by today’s standards. As an example of the extent of his financial status at that time, picture a scene: The annual auto show was in progress in New York – glittering models were on display from all over the world. The center piece of all this opulence was a foreign sedan with a price tag well into five figures. Earle and his wife were on the way to an evening of entertainment and happened to pass the show. He decided to pause a few minutes for a quick look at the cream of the automotive world. He was immediately charmed by the car at center stage – pulled out his checkbook and it was his. The foregoing may make the man sound egotistical, but such was not the case. The story only came out at one time when we were discussing cars of the past and Earle dug out some old snapshots to show me cars he had owned. The size of his mail order business could be judged b the fact that at one time he employed 40 people just to open mail and handle orders. It became apparent to him at one point that there was some dishonesty involved so he concealed himself and observed the operation only to see that so many were pocketing money from the mail that no solution was possible other than discharging the whole crew. Some may have been fired unfairly, but he stated that he could see no other course to solve the problem. All of which serves to show that the disgraceful situation of today in regard to stealing from employers is nothing new. As a clue to the intensity of his business endeavors, he once mentioned that at one time he employed a secretary whose main function was to take notes – notes concerning the ideas which occurred to him while busy on other matters, but which he wished to pursue as time permitted. At the time of the 1929 crash Earle had about a quarter of a million dollars of advertising contracted for and he lived up to the agreement, as well as holding his employees as long as possible, but like countless other businesses at that time there was no way to prevent the end. The reverses seemed to have caused little trauma in his life at a time when news stories were full of suicides. He found other fields in which he could succeed. One which may surprise is the fact that he did a radio program for many years which was a show mainly for women and which included much poetry, all of which came from his own works. After World War II there were many years of “Muscle Power” magazine of which he was the editor. Since severing connections with that organization he had continued to write for various magazines and the influence of his style shows through in certain publications today. 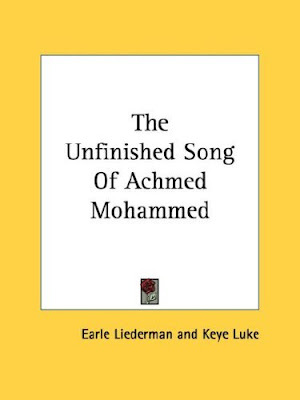 The Unfinished Song of Achmed Mohammed” – East Indian prose which I feel is outstanding although sales were modest. The book has illustrations in black and white by Keye Luke. Remember Charlie Chan’s number one son? In recent years Earle became a born-again Christian and although cancer was a serious problem he believes strongly that it was cured through prayer. I don’t know what was listed as Earle’s cause of death, but I for one believe that he was actually cured. The big problem was emphysema and I’m sure he would want to encourage everyone to avoid smoking. He was hooked on the weed and was always good natured when I tried to talk him out of it, but couldn’t quit until a few years ago at a time after the damage had been done. Earle Liederman had more fame and fortune than most of us can imagine, but I’m certain that he would point to Christianity as the focal point of his life and am positive without doubt he would encourage readers to make that all-important decision.